A mad PTI female worker under attack in PTI so called plan c protest Faisalabad . 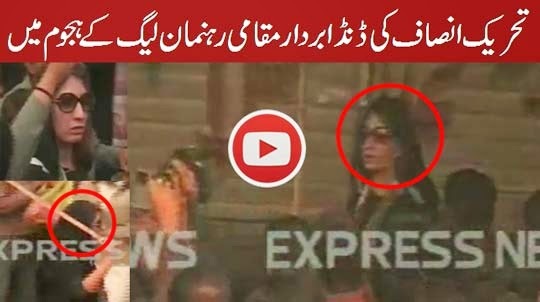 The brave PTI female have a stick in his hand and she comes in front of PMLN supporter where PMLN supporter try to cheat with her but she defend herself with stick in her hand. She called police to protect her but as traditional police not come in time to protect her then she decide to go with police by herself where police finally protect her and provide safe way to skip.